Sometimes we don’t need a super-smart, get things done person. Sometimes we just need a person in the team that can help the team grow. But what happens when we don’t have that kind of person? How do we handle those super smart people that want to direct the whole team? Listen in to learn what happened in Susan’s story, and what she learned from those events. 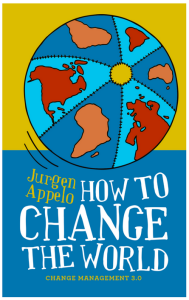 Jurgen Appelo’s How to Change the World is featured this week. It explains how we can talk about in change in practice. Hands-on. It also describes how you can track the change in practice. 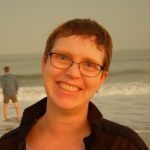 Susan McIntosh is an agile coach and scrum master, especially interested in training and agile transformations – both fast and slow. She finds analogies to improving workplace culture in her experience in theater, teaching, cooking, and parenting. Susan is an active participant in the agile community in Denver, Colorado. You can link with Susan McIntosh on LinkedIn and connect with Susan McIntosh on Twitter.